Come see this charming, fully refurbished 1940s era home in one of Denver's hottest neighborhoods! Situated on one of the largest lots on the high side of the street, with mountain views! 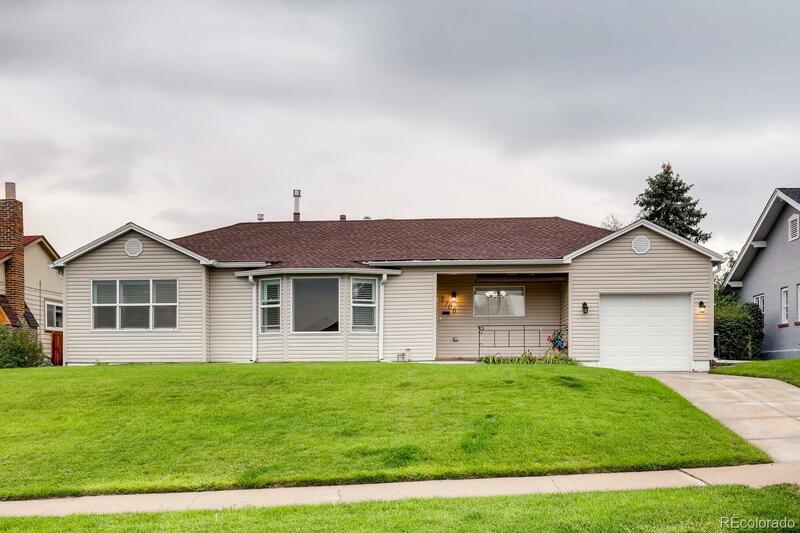 This desirable ranch floor plan features 4 bedrooms and 2 bathrooms, with plenty of living space. Full of original charm, with modern finishes! The HUGE backyard is an entertainer’s paradise, with beautiful trees and shrubs, a lovely lawn, and serene trellised patio area. Utility shed included! Only a 5-minute drive to Old S Pearl, DU, golf courses and hospitals, and walking distance to a number of parks and restaurants. This is single story living at its finest, don’t miss out – this one will go FAST! MUST SEE!